K.B. Spangler–Author. Editor. Draws cyborgs and ghosts twice a week. Hi guys! As some of you may know, Strange Horizons recently posted a critical piece on women SciFi novelists. The article addresses how women SciFi authors rarely get reviewed in the book community, and this reduces publicity and popularity for women authors. This article has led to a lot of attention/renewed attention for women SciFi authors who might have been overlooked. I’d like to take this opportunity to remind you that I’m now one of those authors. And a reader just emailed me to let me know that Amazon is pushing advertising for Digital Divide today. If you haven’t yet bought a copy, please consider buying one from Amazon today. It’s a measly $5 and this could be a make-or-break day for the novel. Here is the Amazon (US) link again. Links to international Amazon sales sites are available at the Book page. Thanks, guys. I never expected to get here, and I’m starting to wonder if I can get somewhere else. Hey guys, I finally did something that took all of five freakin’ minutes but I updated the BOOKS page with a lot of links. BUY MY BOOK. Stolen! From Cheeseburger. NO YOU CANNOT HAVE ONE, EVER. 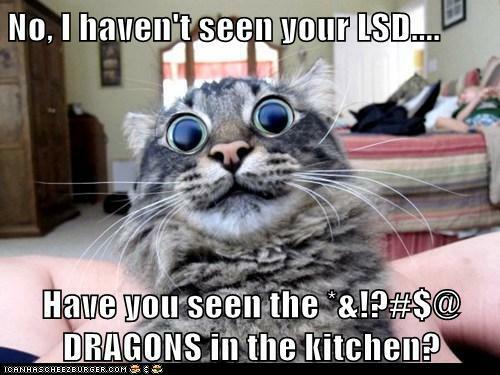 BAD CAT. 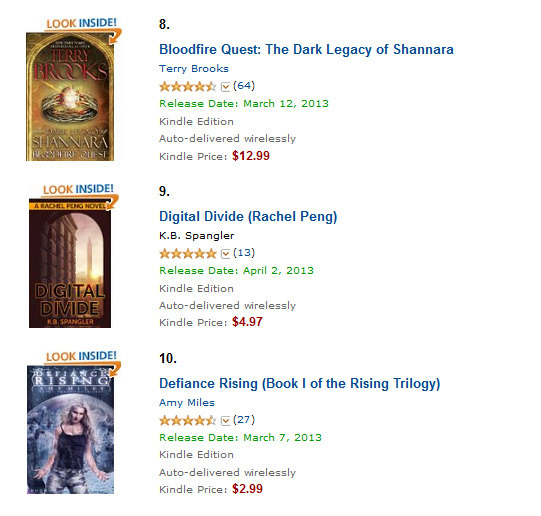 Top 3 in Sci-Fi Lists! Digital Divide is still riding the best-seller lists, this time over at GallyCat’s weekly reports for the Top 3 in “Self-Published Science Fiction & Fantasy”. If your dogs just started howling, it’s because of the high-pitched squeal coming out of North Carolina. EDIT AND UPDATE: And it’s gone up from No. 10 to No. 7 on Smashwords (overall, not just Sci-Fi) this week! Sorry for explodin’ your dogs’ heads into goo. I promise this will not continue (either these giddy wheee! posts or the high rankings), but just let me have this while it lasts. The “Hot New Releases” page. I have actually read Terry Brooks. Wheee! Thank you guys! This is really more than I ever expected/hoped for/planned on. It’s wonderful. Thank you! It’s been going up all morning, too. I know it’s not sustainable, I know it’s just release day traffic, but it’s still more than I had hoped for. When you ask people what they want to read, “Genre science fiction based on a webcomic and which is sort of a murder mystery but not really” doesn’t pop on the radar. And people are leaving the best reviews! None pending for late 2017. Schedule for 2018 coming soon. 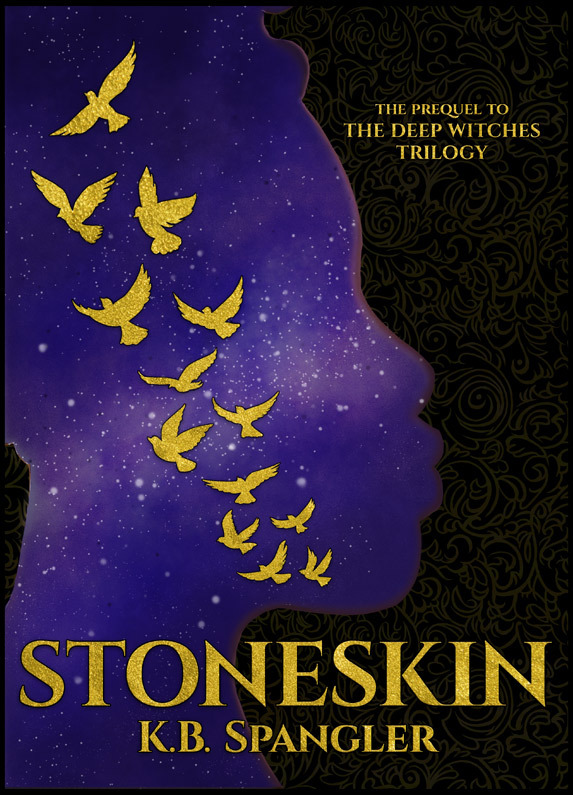 Stoneskin is available in print and ebook. 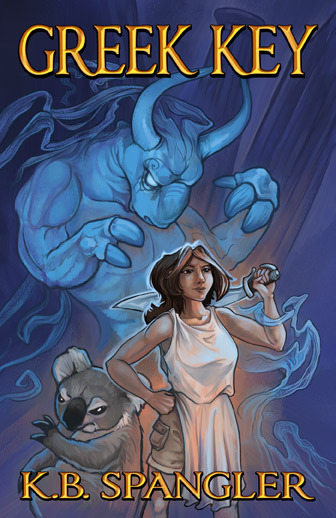 Brute Force is available in print and ebook. Greek Key is available in print and ebook. State Machine is available in print and ebook. 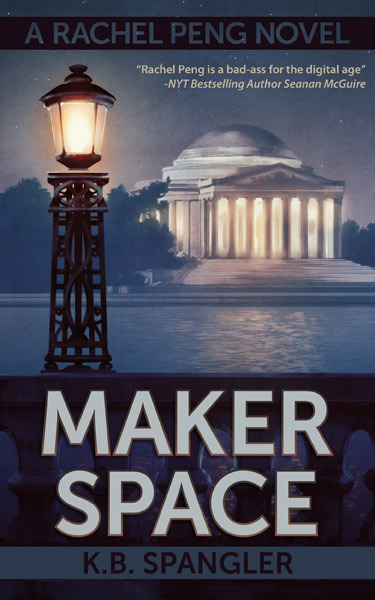 Maker Space is available in print and ebook. 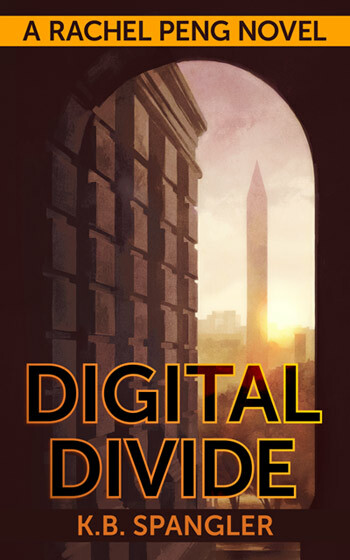 Digital Divide is available in print and ebook.